Are you in a design dilemma or just need a little expert advice to freshen up a room in your home? For the first time in shop history, Your Nesting Place in downtown Milford will offer free design help in the store, by appointment, March 17-29. Bring in a written plan, photos or even a floor plan of what you want guidance on — owner and interior designer Chris Meredith and staff with help solve your issue. 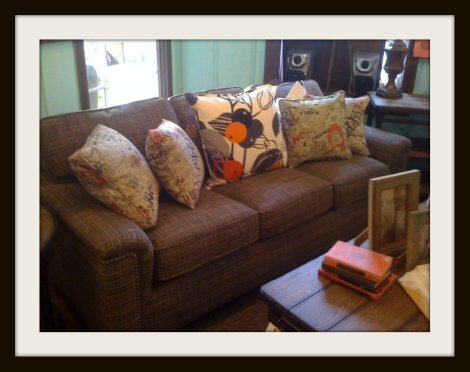 The furniture and home goods destination, located at 332 N. Main in the Village of Milford, is also hosting a factory authorized sale exclusive to Flexsteel galleries March 17-29. Your Nesting Place will offer 40 percent off all Flexsteel furniture, including sofas, chairs, tables and more. The made-in-the-USA line, in business for more than 100 years, offers timeless looks that include 2,000 fabric choices, plus leather and occasional tables, as well as wood trim on many pieces. All Flexsteel is made by trained craftspeople in the U.S.
To make a design appointment, call the store at (248) 685-7314.